The body is remarkably adept at maintaining a blood pH between 7.35 and 7.45. Just as blood pH operates within a certain range, so do other cell structures throughout the body, depending on what kind they are and to which system they belong. This cellular pH can affect both the structure and chemical reactivity of cellular molecules. Water is the universal solvent for all life and its chemical properties affect how cells work. 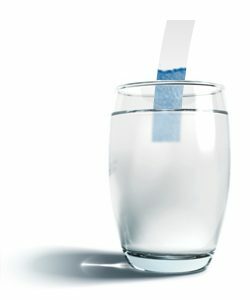 Beyond this, water’s self-ionization plays a role in providing the hydrogen ions needed for certain cellular processes. Even though the dissociation constant of water is incredibly small, its importance is very large because of the reactive nature of hydrogen ions in biological systems. Hydrogen ions have profound effects on metabolism and other cell processes disproportionate to their relatively small number resulting from water’s self-ionization. 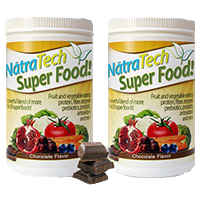 The body has a series of natural buffers which help the blood and cells resist changes in pH. These include hemoglobin in the red blood cells, plasma proteins, the bicarbonate buffer, and the phosphate buffer. Furthermore, the body’s water helps eliminate blood toxins. These natural buffers, however, are not designed to handle the acidic overload modern life imposes on the body. They will keep the cell and blood pH within a set range but acidic conditions can still affect the body even within these ranges. Stressors come both from without and within the body. What we do as individuals, or more accurately what we consume, plays an enormous role in how the body can withstand both the pressures from outside as well as inside the body. Acidity leads to inflammation which in turn can lead to many other health problems. In order to understand what happens within the body, one must first understand the nature of water because the body consists of more than 60% water. Generally, blood is 92% water, the brain and muscles are 75% water, and bones are about 22% water. At its very core, the body is an aqueous environment so an understanding of water will lay the foundation upon which alkalinity and acidity can be understood. A water molecule consists of one oxygen atom and two hydrogen atoms held together by a covalent bond. A covalent bond is a chemical bond in which atoms share electron pairs. The water molecule is also a polar molecule with an electrical dipole moment. This means it has both a positive and a negative side or pole. Water as a substance can form a large number of intermolecular hydrogen bonds, which results in the tendency of water molecules to clump together. All of these factors lead to the strong attractive forces water exhibits and make water a good polar solvent. In fact, water is a universal solvent, meaning substances dissolve in water rather than water losing its chemical integrity. This, however, is just the beginning. Even pure water consists of more than just water molecules. Through a process called self-ionization, two different ions are formed from water molecules. The first is called hydroxide (OH–), a negative ion (anion) that has donated one of its hydrogen protons, and hydronium (H3O+), a positive ion (cation) that has accepted the donated hydrogen proton. The hydroxide then becomes a hydrogen proton acceptor because it wants to return to being a water molecule and hydronium becomes a hydrogen proton donor for the same reason. These ions exist in very small amounts in the overall aqueous solution and usually for short durations but they do play an important role in water. These ions occur because water has an amphiprotic nature, meaning it can act as both an acid and a base. This then is the power of water; it can transform itself to suit its environment and always seeks to maintain an equilibrium between the positive and the negative. In order to understand the acid/alkaline (acid/base) relationship we must first look at basic chemistry and the electro-magnetism involved. Atoms in their natural state exist in balance, with the number of protons which are positively charged matching the number of electrons which are negatively charged. When an imbalance in this equilibrium happens, the atom becomes an ion. If it has more protons than electrons, then it is a positively charged ion called a cation. If it has more electrons than protons, then it is a negatively charged ion called an anion. In most instances only the word ion is used to refer to both cations and anions. The same rules apply to molecules and the same naming system. Therefore an ion can either be an atom or a molecule that is imbalanced and has a charge. The hydrogen ions form through the dissociation of the acid and the hydroxide ions form by the ionizing of the base. Bases are said to ionize because they can either dissociate or dissolve whereas acids almost uniformly dissociate. In both instances, it is the action of water as a universal solvent that sets the ions free. For all practical purposes the concept of dissociation and dissolution have the same effect of freeing ions in an aqueous solution. A hydrogen ion and a hydrogen proton are the same thing because hydrogen is the simplest atom, with one proton and one electron. When the hydrogen proton exists without its electron, it is an ion or cation to be more precise. The Arrhenius theory gives us the foundation of hydrogen ions and hydroxide ions and the Brønsted-Lowry theory gives us the concept of hydrogen proton transfer. With these theories as our basis, we can now discuss the fundamental chemistry behind base aqueous solutions, aka alkaline waters, and acidic aqueous solutions. Up to this point we have been discussing the hydroxide ion as if it exists in large quantities in water by itself. But hydroxide is not normally found by itself in nature, rather it is attached to another element, most commonly a metal (mineral) to form a base molecule or compound. The strongest bases in terms of alkalinity in an aqueous solution are the hydroxides formed from the alkali metals and the alkaline earth metals. It is important to note that pH and alkalinity do not measure the same properties. pH measures the base properties of a substance while alkalinity measures the quantitative ability of a base to neutralize an acid. A substance can be a base without having strong alkalinity but a substance cannot have strong alkalinity without being a base. One further note, the word “alkaline” refers to a substance’s base characteristics NOT its alkalinity. The first issue is the structure of the two groups of hydroxides. Alkali metal hydroxides are monovalent and alkaline earth metal hydroxides are divalent. This means for every one mineral ion in an alkali metal hydroxide there is only one corresponding hydroxide ion but in alkaline earth metal hydroxides there are two hydroxide ions for every mineral ion. Simply put, alkaline earth metal hydroxides contain twice as many hydroxide ions as alkali metal hydroxides. The next issue is ionization in an aqueous solution that frees the hydroxide ion. The term ionization is used because it can come about either through dissociation or dissolution. As noted earlier, the concepts of dissociation and dissolution have the same effect of freeing ions in an aqueous solution. According to Arrhenius, free hydroxide ions are the most important factor in determining alkalinity in an aqueous solution. Among the alkali metal hydroxides, potassium and sodium are the strongest in terms of alkalinity in an aqueous solution. Both completely dissociate in water. This means that the mineral ions (either sodium or potassium) and the hydroxide ions break apart and float freely in the water. Potassium hydroxide is slightly stronger than sodium hydroxide. Among the alkaline earth metal hydroxides, calcium and magnesium are the strongest in terms of alkalinity in an aqueous solution. Calcium hydroxide is not quite as strong a base as potassium hydroxide or sodium hydroxide because it is only relatively soluble where the other two completely dissociate. To reach a saturated solution of calcium hydroxide, an equal amount of undissolved calcium hydroxide must be present in relation to the calcium ions and hydroxide ions freely floating in the solution. So for every two free hydroxide ions there is one corresponding calcium ion and one corresponding calcium hydroxide molecule. Magnesium hydroxide, on the other hand, is even weaker because it has low solubility and does not dissociate very well. Even though this is true, magnesium hydroxide is still used as a common component of antacids because even with its weaker properties it is still effective. Potassium hydroxide, sodium hydroxide, calcium hydroxide, and magnesium hydroxide are all strong bases with strong alkalinity in an aqueous solution. Magnesium hydroxide is by far the weakest of the four because of its solubility and dissociation issues. The other three each produce effective levels of free hydroxides in an aqueous solution. As with the hydroxide ion, the hydrogen ion does not exist as its own entity in an aqueous solution in any large amount. The hydrogen ion always wants to be attached to another atom or molecule that has electrons it can share. This seems somewhat at odds with the definition of an acid being a hydrogen proton donor but it is nonetheless true. The hydrogen proton may easily leave an acid but it then seeks to attach itself to another atom or molecule. This is where the properties of water step in. As noted, water can act as an acid or a base and is a universal solvent. According to Arrhenius and later affirmed by Brønsted-Lowry, an acid dissociates in an aqueous solution because of the solvent properties of water. The freed hydrogen proton then attaches to a water molecule just as happens in water self-ionization. The new molecule is hydronium (H3O+, a positive ion or cation). But hydronium does not actually exist in water by itself either. Here the clumping properties of water come into play and hydronium is usually found attached to other water molecules so you end up with hydronium ion/water molecule clusters or complexes. One well known example is H3O+(H2O)6 and shows a hydronium ion attached to six water molecules. This cluster is the mean hydration ion in cold water. A second example is H3O+(H2O)20 and shows a hydronium ion attached to 20 water molecules. This is called the magic ion number structure because of its increased stability. Two other examples are the Zundel cation and Eigen cation found in the Grotthuss mechanism. These are H5O2+ and H9O4+, respectively. The first shows a hydronium ion attached to one water molecule and the second shows a hydronium ion attached to three water molecules. By its very nature, hydronium is the most acidic species that can exist in water. The logic is simple. An acid stronger than hydronium will by its very nature deprotonate (donate a proton) through dissociation in an aqueous solution. Deprotonation is the very definition of a strong acid. The result will be a protonated water molecule, aka hydronium. A weaker acid is by definition weaker than hydronium. Hydronium formed in acidic solutions is longer lasting and more concentrated than hydronium that forms through the self-ionization process in water. The nature of water, the nature of ions, the nature of hydroxide, and the nature of hydronium are the fundamental chemistry needed to understand how acids and bases exist and react in an aqueous solution. How does the knowledge set forth above apply in the real world? What is the best way to arm the body to handle the acidic load modern life produces both from without and within? First let’s define exactly what the enemy is, so that we can then figure out how to defeat it. It is clear that since hydronium is the most acidic species that can exist in an aqueous solution and that the body is by its very nature an aqueous environment, hydronium necessarily becomes the most important acid to combat in the body. Other acids may be present but they necessarily convert to hydronium through dissociation. Excess hydrogen ions in the form of hydronium is the real problem. The extra hydrogen ion in hydronium is still highly reactive and like all acids, hydronium will donate it to another atom or molecule freely under the right circumstances. This is what makes hydronium so potentially harmful to the human body. First, because hydronium ties up free water molecules it changes the hydration parameters of the body. Second, although the hydrogen ion may be attached to a water molecule, it is basically free to act as if it is a free ion since acids by definition are proton donors. This potential reactivity of the extra hydrogen ion can only be combatted by neutralization. Neutralization of hydronium then is the means by which the acidic load on the body can be lessened. Interestingly enough, the Arrhenius theory gives us the answer for neutralizing hydronium and it is hydroxide. As noted in section 1.4 above, potassium hydroxide, sodium hydroxide, calcium hydroxide, and magnesium hydroxide all have strong alkalinity in an aqueous solution. These four are the most prevalent hydroxides found in alkaline waters and will therefore be the focus of this discussion. Of these, potassium hydroxide, sodium hydroxide, and calcium hydroxide produce the highest degree of free hydroxide ions in an aqueous solution. Furthermore, the hydroxide ion itself has a low solubility and therefore does not break apart easily. By its very nature as part of the water molecule structure, it has an inherent drive to return to its natural state as a water molecule. This then is the power of the hydroxide ion. These facts lead to a very simple question, how do you supply the most possible free hydroxide ions in an alkaline water? Several factors play into answering this question. As noted, both potassium hydroxide and sodium hydroxide are monovalent which means they have one hydroxide ion for every mineral ion. Calcium hydroxide and magnesium hydroxide, on the other hand, are divalent so they have two hydroxide ions for every mineral ion. The simple math would support the idea then that the calcium and magnesium hydroxides must provide more free hydroxide ions but this is misleading. As noted, magnesium hydroxide has a very low solubility, so it does not produce many free hydroxide ions. Calcium hydroxide is relatively soluble except when in the presence of potassium hydroxide or sodium hydroxide, then its solubility decreases rapidly. This means if an alkaline water is using many different minerals in its ionization process to create its hydroxide, the potassium and sodium hydroxides would produce the highest degree of free hydroxide ions and the calcium hydroxide would be inhibited from doing so. It also means more minerals are necessary because of their monovalent properties. In sections 1.3 and 1.4 above, the term ionization was used to describe the process by which the hydroxide ion is freed from its mineral ion partner through either dissociation or dissolution. In this section ionization will refer to the process by which the hydroxide ion is removed from a water molecule. Both processes are forms of ionization but in the first one the hydroxide ion is separated from a mineral ion and in this section the hydroxide ion is separated from a hydrogen ion. Most alkaline waters on the market today recognize the fact that minerals alone cannot effectively combat acidity. Although most alkaline waters do add minerals, they also seek to give the body the ammunition it needs. In most cases this ammunition comes in the form of negative ions. Although most may not say so, the negative ions are in fact hydroxide. Most of the leading alkaline waters on the market today claim they have or add negative ions. The question is how do they do this? They use the same technology that alkalinizing water machines use. Both the ready to drink alkaline waters in the store and the alkaline water machines sold for home use employ the same basic technology. It is important to note at this point that although each of these may claim that their technology is different or special or even patented, the simple fact is they all use the same basic principles. In order to create hydroxide they all apply electro-magnetism to break apart the water molecule into hydroxide ions and hydrogen ions. Although they all uniformly use the term hydrogen ion, as noted earlier, a free hydrogen ion will immediately attach to any molecule with which it can share an electron. Since other water molecules are within reach, the newly freed hydrogen ion will protonate one of these water molecules and form the hydronium ion. This electro-magnetism is applied in the presence of minerals, most notably sodium, potassium, calcium, and magnesium among others. The mineral hydroxide rich water produced in this process is the alkaline water product and the acid rich hydrogen (hydronium) water is discarded or used for other purposes. This basic method for producing negative ions is used by both ready to drink alkaline waters and alkaline water machines for home use. Since this is the way most of the industry creates negative ions (hydroxide), is this the only way to do it? The short answer is no. In most alkaline waters, the free hydroxide ions available are limited by the amount of minerals present because of the reasons noted in section 2.2. But does this always have to be the case? The simple answer is no. In these two areas AQUA OH-! is different and this is what sets us apart from the rest. Because most alkaline waters on the market today rely on the addition of many different minerals and electro-magnetically induced ionization of the water thereafter, they are necessarily limited by the inherent nature of the hydroxides produced. Most waters add sodium, potassium, calcium, and magnesium among other minerals. These four are the most important. The monovalent nature of sodium and potassium hydroxides and the role they play in limiting calcium hydroxides solubility hamper the amount of free hydroxide ions they can produce. Magnesium hydroxide is limited by its own low solubility product. Add to this the forced ionization through electro-magnetic means and these problems are compounded. These facts limit the free hydroxide ions present in most alkaline waters. So how does Optimal Harmony overcome these limitations? The answer is found deep within the earth. Limestone, which exists everywhere and makes up 10% of all sedimentary rock, is a very rich source of calcium hydroxide. By processing limestone through the introduction of heat and then water, solid calcium hydroxide forms naturally and is very stable yet highly reactive to acids. This processing allows for natural ionization in which hydroxide ions are formed and combine spontaneously with calcium ions. Ionization here refers to the creation of the ions naturally by simply reacting with water. With the introduction of more water to form a saturated solution, the water begins to set the hydroxide free from the calcium. This is a further natural ionization but this time the ionization is the freeing of the ions through dissolution. (See “The Science Behind AQUA OH-!” for a complete discussion of the chemistry involved.) Once the hydroxide ions are set free from the calcium ions, Optimal Harmony is then able then able to concentrate the hydroxide ions and remove most of the calcium ions and the undissolved calcium hydroxide molecules found in this saturated solution. This leaves behind mainly hydroxide ions suspended naturally in water. Optimal Harmony adds nothing to the solution in order to remove the calcium but instead use only the tools nature provides. 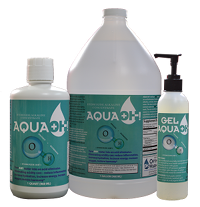 AQUA OH-!’s alkalinity comes principally from hydroxide with the presence of very little calcium. AQUA OH-!’s lab results show that 95% of its alkalinity comes from hydroxide. AQUA OH-!’s calcium reading is 882 mg/L of concentrate. This works out to about 25 mgs per serving ounce. AQUA OH-! claims 30 mgs just to be safe. So Optimal Harmony is able to reduce the calcium while at the same time increasing the hydroxide suspended in the AQUA OH-! concentrate, thus allowing it to account for 95% of its alkalinity. No other product comes close to these readings. Not only do AQUA OH-!’s lab results show that its alkalinity comes mainly from its hydroxide and that AQUA OH-! has very low calcium readings, but they also show very little sodium, magnesium, or potassium. The sodium reading is 9.4 mg/L of concentrate or 0.29 mg per diluted serving. The magnesium and potassium readings are less than 1 mg/L of concentrate. As AQUA OH-!’s lab readings attest, Optimal Harmony has accomplished the near impossible by increasing the free hydroxide ions while decreasing the minerals needed to produce them in the first place. Not only this, but the hydroxide comes from nature itself and is not created by the introduction of electro-magnetism and forced ionization. AQUA OH-!’s hydroxide is naturally liberated from limestone by simple reaction with water. The role of lactic acid in muscle fatigue during exercise has fallen under much scrutiny in recent times. Current research and theory holds that it is a buildup of hydrogen ions in the muscles that is to blame. Whether these hydrogen ions come from dissociation from lactic acid or are created during the break down of ATP, is still a matter of debate. The fact that the acidity associated with the presence of these hydrogen ions is the cause of muscle fatigue is now almost universally accepted. As noted throughout this article, hydrogen ions do not exist as a distinct species in an aqueous solution, so the real culprit is hydronium. As has already been established, hydroxide would be the best, most natural solution to help the body deal with this buildup. This makes AQUA OH-! with its high concentration of free hydroxide ions uniquely qualified to help solve the problem of exercise induced hydrogen ion (hydronium) buildup in the muscles. The free hydroxide ions that AQUA OH-! provides the body, work seamlessly within the biological mechanisms the body already uses to maintain its acid-base balance. Because the end product is water, balance is restored, inflammation is reduced, hydration is enhanced, and detoxification is bolstered. AQUA OH-! is in a class by itself because our product offers the most concentrated free hydroxide ions suspended in water on the market. These free hydroxide ions come purely from calcium hydroxide. We do not use technology to create our hydroxide by electro-magnetically altering water but instead harvest it from a naturally occurring source – limestone. It is minimally processed using only heat and water to free the hydroxide from the stone. We do not add minerals in order to create hydroxide ions or to increase the pH but instead remove minerals so that our pH comes almost entirely from our alkalinity and not the base properties of minerals. So if AQUA OH-! is so great, why isn’t it patented? Because you can’t patent nature. Truly natural processes cannot be patented, and we freely admit we have nothing unnatural here. When you harvest the bounty of nature through natural means, you don’t meet the requirements for a valid patent, but you do avoid the problem of synthetic substitutes. We consider that a big positive+! There is one other trick that alkaline waters can and do use to raise the pH of their waters. Sodium bicarbonate can be added and this directly affects both the pH and the acid fighting ability of alkaline waters. The major drawback to adding sodium bicarbonate is the level of sodium that comes with this approach. The level of pH an alkaline water has is a measure of both its mineral content (whether trace minerals or sodium bicarbonate) and its hydroxide content, with the hydroxide content being the more important of the two in terms of fighting acidity. Our lab results show AQUA OH-! concentrate has a pH of 13. This results in a drinkable pH of 11+ and yet it is not caustic. Our lab results further show that 95% of our alkalinity comes from hydroxide. Not only this, but our mineral level is extremely low at less than 30 mgs of calcium per diluted serving and our sodium readings of 0.29 mgs per diluted serving further rule out the use of sodium bicarbonate. There are no other measurable minerals present. No other product on the market can make these claims. Nothing works better for combatting acidity and for specifically neutralizing hydrogen ions (hydronium) in the body than hydroxide.